I know what paradise looks like, I am lucky enough to live close by and to have discovered it years ago. To tell you the truth, it’s a well-kept secret. People who have visited this picturesque mountain village have fallen in love for life with it and always return in search of serenity and natural beauty. No more noisy tourist crowds, kiosks selling all sorts of things, souvenir shops and large guest houses as the ones you can find in Valea Prahovei and Rucar-Bran pass. 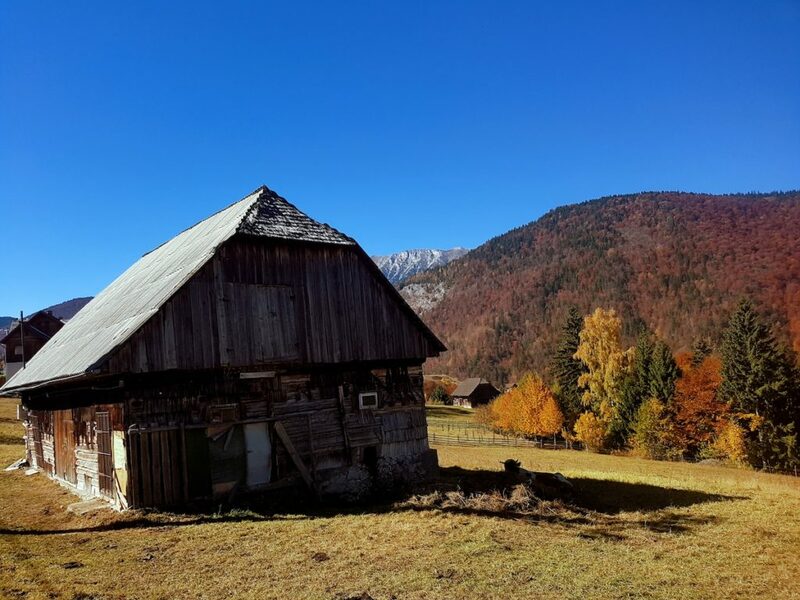 In this more retreat part of Moeciu you will discover a place where the simple, traditional and rural life goes on quietly and undisturbed for ages. Magura village is located in Brasov county, only 35 km from Brasov city. If you are familiar with the Bran – Moeciu area, very popular among tourists due to the Bran Castle and the vampires & Dracula stories, you only have to look for Moeciu de Jos and from there the paved road takes you to Pestera village. To reach Magura you have to follow the country road for a few more kilometers. The second route, from Rasnov through Zarnesti, is more spectacular because it goes through a mountain corridor that climbs up to 1,000 – 1,200 m altitude starting from Fantana lui Botorog. The country road that winds amongst dense forests and crystal rivers, though full of pits and stones, may reward you with the most incredible surprise: you can catch a glimpse of a deer or a wild boar. Home to many species of animals and plants, the Piatra Craiului National Park (which includes the Magura village) invites you to discover its peaks of over 2,200 m and the highest and the longest limestone ridge in Romania. There are plenty of things to do in Magura and if you want to experience a little of each, I suggest you take a few days to discover the area. The place is preferred by families with children, cyclists, mountain explorers, climbers and photo enthusiasts. A walk from Magura to Pestera village will help you discover the locals and their traditional healthy products, and feel what countryside life on top of the mountain means. You will not get enough of this landscape, often compared to the ones in Austria or Switzerland, made up of mountain ridges and hills with sheep flocks. The color splash during autumn season is incredible and in winter time it is like being in a fairy tale. If you’re a trail running passionate, this is the perfect place to both exercise and enjoy fresh air while admiring the amazing panoramic view over the Bucegi and the Piatra Craiului Mountains. As a hiker or mountain biker you can choose any of the routes that take you to Cabana Curmatura, La Table, or Prapastiile Zarnestiului. 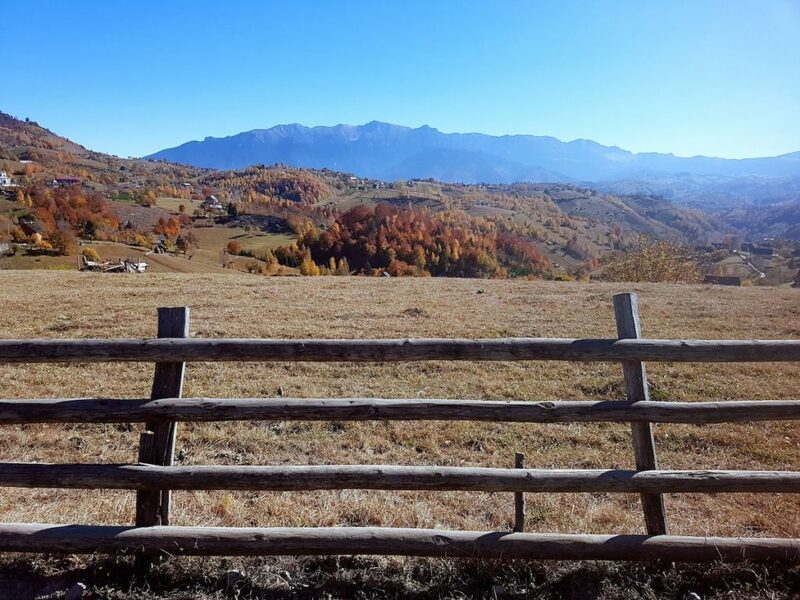 Sharing the same landscape and specificity, other rural mountain villages, close to Magura, are worth visiting: Pestera, Sirnea, Dambovicioara, Fundata, etc. In Pestera village you will discover Pestera Liliecilor, a true monument of nature and protected area. The cave has a surface of 1.5 hectares and shelters numerous species of bats, but it also has many calcareous formations, called tears of the earth. A trip to Zarnesti, an enchanting city, with beautiful houses and eye-catching mountain scenery, is also worthwhile. Near the city, the Liberty Bear Sanctuary awaits its visitors who want to see how 70 hectares of forest have become home for rescued brown bears. There, you can even adopt a bear, as the 100 hungry little bears there need about two tons of food every day. Visit Rasnov fortress, a historic monument and landmark in Romania, in the beautiful city of Rasnov where every year, in August, rockers gather to attend Rockstadt Extreme Fest. Looking for adventure? Try the bungee jumping facility in Cheile Rasnoavei, the highest in Eastern Europe. Cheile Rasnoavei is also popular for the via ferrata climbing route – perfectly safe! Magura village has few guest houses and even fewer places where you can eat. To look for the best deal, check this list presenting accommodation facilities. It is not an easily accessible area, but even so, the tourists made their way here, and holiday homes and boarding began, slowly, slowly, to rise. Magura village has drawn attention to the British publication Financial Times, which made a feature about Arabella McIntyre-Brown, a British writer who chose to retire to Magura in 2000. In the interview, the author confesses what made her stay in Romania: "Initially I chose the Magura village, not the country! But as time passed, I was able to visit more regions, to meet more people, to make friends, to love Romania altogether."